Ukraine's largest state-owned companies reported about UAH 2 billion in profit January through September 2015 against UAH 12 billion in loss posted last year, Ukrainian Prime Minister Arseniy Yatsenyuk announced at a meeting of the National Reform Council on December 24. "The Ministry of Economic Development and Trade has analyzed the profitability of 100 largest state-owned enterprises in the nine months this year. In 2014, the net financial results, excluding NJSC oil and gas giant Naftogaz and railways administration Ukrzaliznytsia, were estimated at 'minus' UAH 12 billion, then in the nine months this year, the net financial results were 'plus' UAH 2 billion," the press service quoted the prime minister as saying. Stable financial results were also demonstrated by key sectoral state holdings, according to Yatsenyuk. In particular, Naftogaz, which posted UAH 88.4 billion in loss last year, reported UAH 233.6 million in profit in the nine months this year. "For the first time in the company's history, it operated without losses," Yatsenyuk said. The same is relevant to Energoatom, Ukraine's largest nuclear power generation company, the premier stressed. Last year, the company incurred an annual loss of UAH 6.4 billion, as compared to UAH 1.3 billion in profit for the nine months this year. Yatsenyuk also noted that Ukrzaliznytsia had managed to reduce its losses by times. Thus, last year the company incurred a loss of UAH 15 billion, as compared to a loss of UAH 5 billion for the nine months this year. The company is expected to reach a zero balance by the end of the year. The Ukrainian Sea Ports Authority significantly improved its financial results. Last year the entity posted a profit of UAH 1.5 billion, while this year it has increased to UAH 3.5 billion. 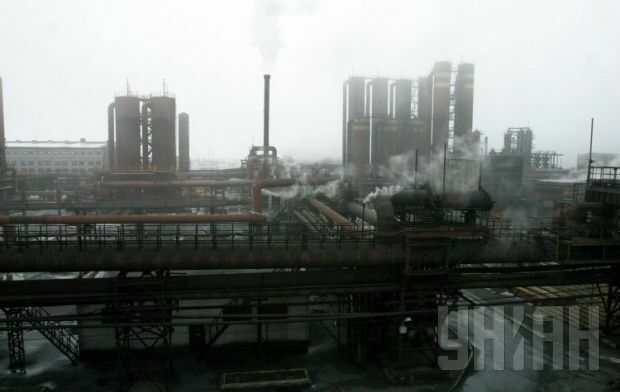 According to the report, Odesa Port-Side Chemical Plant posted UAH 205 million in profit for the first time in four years. Turboatom reported about UAH 1.2 billion in profit in the nine months of the current year against UAH 637 million in loss in the previous year. The commercial sea port of Yuzhny posted a profit of UAH 795 million as compared to a loss of UAH 380 million. Last year Boryspil International Airport incurred a loss of UAH 126 million, as compared to UAH 467 million in profit over the nine months of this year, Yatsenyuk reported. Electricity exporter Ukrinterenergo's operation was also profitable, while Ukrenergo, the operator of the trunk power grids, reported a serious loss. The work of coal companies was also said to be loss-making. Yatsenyuk forecasts that the adoption of a law on the privatization of state-owned assets and improvement in the management of state-owned companies not subject to privatization will have a significant influence on the financial performance of the companies. In addition, the government will also decide on the liquidation of around 1,600 inefficient enterprises. Earlier Yatsenyuk underlined the need to combine state-owned enterprises into state holdings whose number could be from three to seven. The government says it supports an approach when a separate branch of industry will have its own specialized holding. The main question is whether we will set up a single state holding on top of them to manage all the rest.